Since 2016, the regime of Bashar Al Assad has pursued a strategy of negotiating local surrender agreements – also known as “reconciliation deals” – in rebel-held Syrian territories. Those deals have allowed Damascus to re-establish its authority over a vast area. 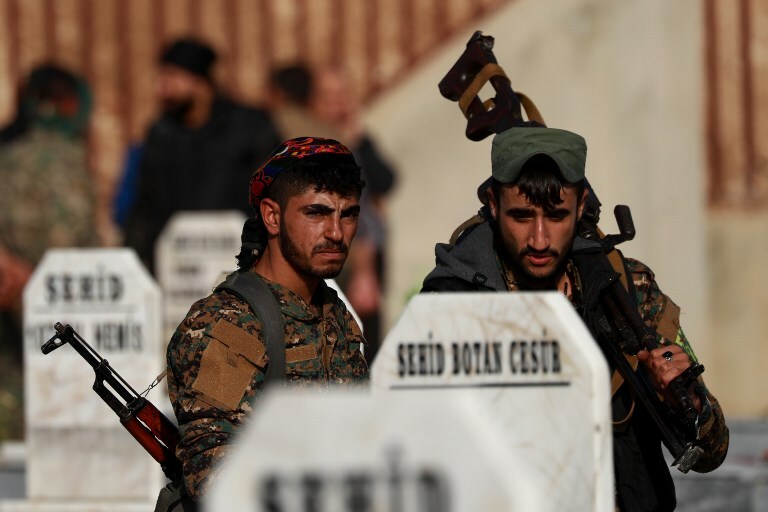 In so doing, it has forced out anti-regime fighters into the few remaining rebel-held pockets in the northwest of the country. Nonetheless, a sizeable number of rebels have opted to remain. Therein lies a problem: the potential for former rebels to return to fight the regime. The answer has been to co-opt those who have chosen to stay into becoming fighters for the regime itself. As counterintuitive as it might sound, a large number have in fact joined pro-regime forces. But far from this being a matter of reconciliation between former rebels and their enemy, the fighters are mostly motivated by fear of arrest – predicated on the requirement to serve as conscripts in the army – or money. The regime might find that its strategy doesn’t actually serve its purpose in the best possible way. Here’s how it works. To pressure people in rebel-held areas to surrender, the regime subjects them to long sieges and indiscriminate bombings. This tires down the population. Consequently, surrender agreements usually are negotiated by committees composed largely of local mediators with ties to the regime – in other words, those with the greatest motivation to welcome a return of peace under Damascus’s auspices. Once a surrender is negotiated, the committee registers the names of rebel combatants in the area, and checks whether they wish to evacuate or to remain. This list is then scrutinized by state intelligence and military security to decide who is allowed to stay and who must relocate to rebel-held areas. Mandatory conscription is the first method by which the regime sweeps up former rebels who choose to stay on. Former rebels between the age of 18 and 42 who have not yet fulfilled their military service obligations are required to join the army. Those who fail to report for service within a specific time are arrested and drafted. In many cases, however, draftees have been arrested even before they are supposed to report for conscription – an indication of the regime’s determination to get former rebels into its fold. But this is by no means an attempt to shore up manpower in the army. Indeed, the more important goal is indoctrination. Conscripts are forced to attend political reorientation programs led by the ominously named Political Orientation Branch. These programs are designed to instruct recruits in Baath party ideology, emphasizing the regime’s narratives about the uprising. Former fighters can also join the police. Again, it brings them into the orbit of the regime, though as local policemen they would be one step removed from the government itself. While service with the police excuses men from the military draft, it takes longer – five years – to fulfil all obligations. But they can serve in their local community and can usually avoid fighting their former rebel comrades. Besides the army and police, former opposition fighters might also be convinced to join pro-regime groups such as those in the Iran-backed National Defense Forces (NDF) and the Russian-led 5th Brigade. The pay is better than with the army or police. And for the regime, the benefit is that it shifts the cost away from the government. Former rebel fighters typically are enticed into such pro-regime auxiliary groups by influential local figures. These might be former opposition commanders or prominent local businessmen. For example, the leader of the negotiation committee in the city of Qudsiyya, just outside Damascus, repeatedly offered local rebels the option of joining the NDF, both during the negotiations and after. Serving with such groups is more dangerous than the other options. And it does not excuse the men from the draft. The main reason for joining up is the higher salary. All in all, it is an attractive option. The majority of former opposition combatants who remained in Al Tall, a city also just outside Damascus, for example, joined an NDF group called Qalamoun Shield. While there is no strict procedure for the transition from rebel to the auxiliary forces, new recruits are usually sent on short training courses. On many occasions, such training involves a three- to seven-day political reorientation. So again, there is an attempt at indoctrination. Through these mechanisms, the regime has managed to reintegrate or demobilize a sizeable number of former rebel fighters. (But exactly how many is impossible to say without government data.) In this way, it mops up former opposition fighters who, if left on their own might one day challenge the regime again. Nonetheless, those efforts, dependent on fear and money, do not constitute concrete steps that build a comprehensive disarmament, demobilization and reintegration strategy. The former rebels may now be in the army, police or a pro-regime fighting force, but can Damascus be sure its indoctrination program has worked its trick? Only time will tell. Haid Haid is a research fellow at the International Center for the Study of Radicalization at King’s College London. He is also a consulting research fellow of Chatham House’s Middle East and North Africa program.